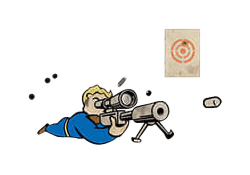 Sniper is a Perk in Fallout 4. It is associated with the Perception Stat. Rank 1: It's all about focus. You have improved control and can hold your breath longer when aiming with scopes.